It might not win any Garden of the Month awards, but the image above is still a pretty significant milestone. 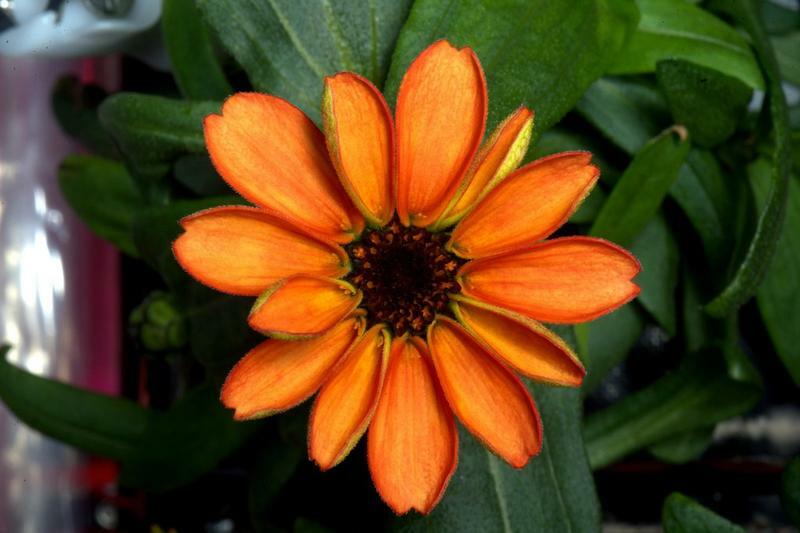 After activating a test late last year, astronaut Scott Kelly this weekend posted a photo of the first ever flower grown in space. And she’s a beauty. The genus of plant is the zinnia, a flower native in the Southwestern United States. The successful growth builds on another experiment held in early 2015, in which astronaut’s aboard the International Space Station grew red romaine lettuce. Last year, Trent Smith, program manager at NASA’s Kennedy Space Center in Florida, talked about the decision to grow zinnias. “Growing zinnia plants will help advance our knowledge of how plants flower in the Veggie growth system, and will enable fruiting plants like tomatoes to be grown and eaten in space using Veggie as the in-orbit garden,” Smith explained. If NASA is ever to undertake deeper space missions, this research could prove to be invaluable, allowing astronauts to use the Veggie system to grow food. The Veggie system, according to NASA, uses red, blue, and green LED lights to simulate sunlight, making the successful growth of the flower you see above possible. In addition to simply seeing whether or not growing flowers in space is possible, and how it differs from here on Earth, researchers also said they wanted to examine how having live plants onboard the ISS would affect crew morale. As you can see in the Tweet below, astronaut Scott Kelly, who is attempting to spend a year aboard the ISS, seems pretty pumped about the flower’s presence.